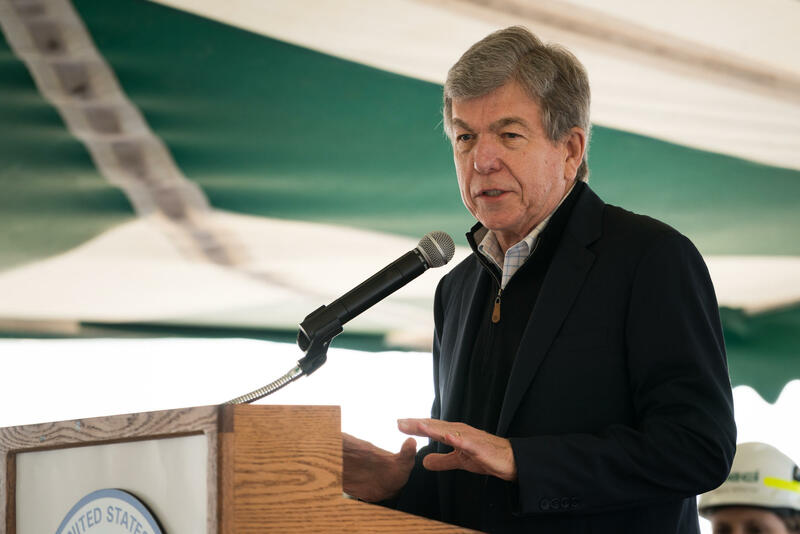 Sen. Roy Blunt addresses a crowd at a 2017 event. Blunt, a Republican, has joined the growing number of lawmakers calling for a change to the Trump administration's policies on separating children from their parents at the border. The Trump administration policy to force separation of migrant children and parents at the U.S.-Mexico border is facing pushback from Missouri's U.S. senators. Democratic Sen. Claire McCaskill in a Monday statement said she'll work to stop what she described as a misguided policy. Republican Sen. Roy Blunt said that separating families doesn't "meet the standard of who we are as a country." Despite bipartisan criticism, President Donald Trump is digging in and says he would keep the U.S. from becoming "a migrant camp." McCaskill likely will face off against Republican state Attorney General Josh Hawley in her re-election bid. Hawley didn't directly say whether he supports the administration's policy. But he says nobody wants to see families separated and called on McCaskill and other lawmakers to secure the border.